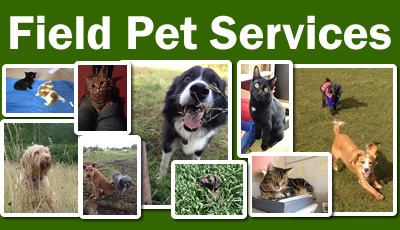 A few details about Field Pet Services serving the Stroud area including The Stanleys, Stonehouse, Eastington, Rodborough and Standish. Hi! 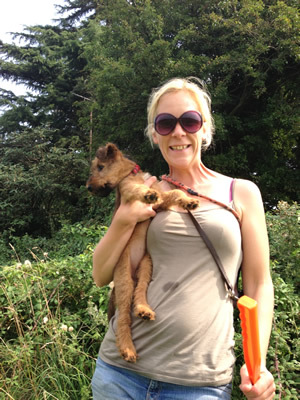 My name is Suzy and I run Field Pet Services. 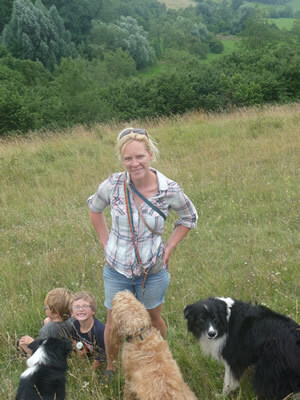 I live with my husband, John, and our two boys Tom and Henry (who can often be found helping out with the animals!). 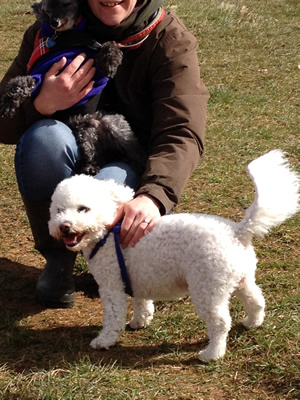 We have two dogs - Milo, a Border Collie and Kiwi, a German Short Haired Pointer and two cats - Stig and Bramble. We also have some stick insects. 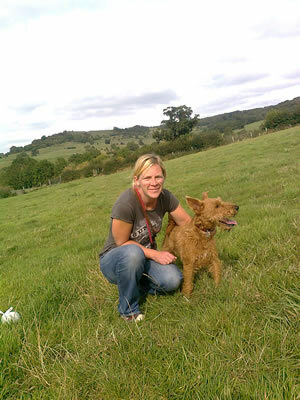 I have a degree in Zoology and have worked with animals for the last 20 years, running my own business for the past 15 years, so am experienced in handling animals of all types. I’ve always had animals and can’t imagine life without them. I absolutely love my job! Rain or shine, I love walking all my dogs. I also love the calm tranquillity of cat feeding and cuddling!